Laser Hair Growth Therapy was conceptualized as well as developed by an analyst Andre Mester in the year 1964. He was trying to inspect the idea of whether exposing human skin to cold laser device light directly can result into the generation of cancer cells or not, while this discovery happened all by chance. To study his idea, Mester shaved a number of mice and divided them into two groups. The first group of mice was exposed to steady cold laser light, while the second one was left unexposed. Even though the light couldn’t cause cancerous cells in the mice, Mester found that the mice in the first group got their hair back much faster than the rest ones. 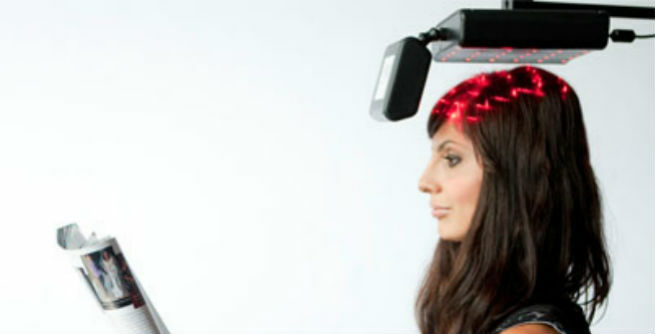 He named it ‘photo-biostimulation effect’, which worked as the base of the laser hair growth therapy. What Is the Actual Working Procedure? At first, an advanced laser device is used to direct the low-intensity laser radiations towards the hair follicles present on the scalp. It promotes the conversion of Adenosine Triphosphate (ATP) to Adenosine Diphosphate (ADP) within the cells, which generates electricity and eventually elicits metabolic adjustments. 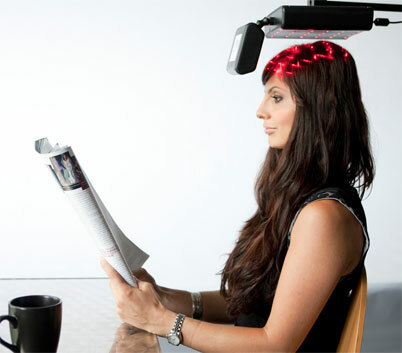 The low-level laser light makes a way into the hair cells for boosting their protein as well as vitamin content. It also helps in the expansion of the cells, thereby amplifying the absorption of minerals by them. All these result into a healthy scalp and thick hair as the chances of mineral loss go down and the follicular protein gets less disrupted. The therapy also speeds up the natural production of healthy hair by providing sufficient vital nutrients and oxygen to the scalp. It not only endorses the growth of fresh new hair, but also improves the quality of the existing ones. It is the best method known so far to stimulate the hair growth in an all natural way. There is no need of undergoing invasive surgeries or using chemical compounds to regrow the locks in this procedure. Those who are not ‘good candidates’ for hair transplant can easily go for this one. It can even give better results than a regular transplant sometimes. There is no adverse side effect of this therapy. Unless and until you are allergic to laser radiations, you can go through it safely and securely. The procedure is extremely convenient. One can undergo it anytime anywhere. It is especially suitable for women as many of them find it difficult to get the desired results from a hair transplant.